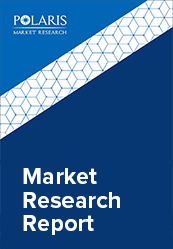 The worldwide heat transfer fluids market is estimated to grow at a CAGR of 7.1% between 2018 and 2026. Rising demand for a wide range of heat transfer fluids from an assortment of industrial sectors is expected to drive the heat transfer fluids market over the next decade. The industrial trends of these products shows that the highest increase in demand has been from the diverse manufacturing industries and it has tend to grow with increase in heat transfer process complexities over the years. Heat transfer fluids are eutectic mixtures that contain two stable compounds. These products practically have identical vapor pressures, so that the mixture or composition can be managed as a solitary compound. These types of fluids are mainly used in those systems that employ either liquid vapor phase heating. Its normal range of application is between 60°F to 750°F (i.e. 15°C to 400°C), and the pressure band is between the atmospheric to 152.5 psig (10.6 bar). These products are stable and are readily not decomposable at high temperatures. These fluids are used effectively either in vapor or liquid phase systems. Their low viscosity that remains throughout the operating range eventually results in an efficient transfer of heat; start-up and also problems related to pumping are minimized. These fluids are noncorrosive to normal alloys and metals. The functional qualities of these products are expected to boost demand over the forecast period. Heat transfer fluids serve up several purposes in various solar thermal applications including transport and collection of heat from solar absorbers; in intermediate storage and utilization of thermal power in order to cushion the intense diurnal nature of the solar radiations. These products also facilities for exchange of heat with power cycles to generate electricity. Hence the multiple advantages of use of these fluids in several applications, heat transfer fluids market is expected to augment further demand in the near future. A few constraints, in terms of both practicality and performance, significantly influence the choice and options of these products. For typically concentrated applications of solar power (CSP), these products are formulate to have and bear significantly low freezing points for avoiding freezing overnight. The high operating temperatures (i.e. >400°C) increase the efficiency of power cycle, and the low vapor pressures at very high temperatures reduce installation costs. Under the heat transfer fluids market, for high performance of heat transfers, these fluids are formulated for having higher thermal conductivity, higher volumetric heat bearing capacity, and very low viscosity. The manufacturers apart from offering customized heat transfer fluid formulations they also maintain environmental issues. These products are safe, non-corrosive and even cost-effective. As pure substances and these commonly used fluid types such as molten salts and synthetic oils satisfy every performance and practical criteria. Novel developments of solar heat transfer fluid products have emerged as an active field of research. Some of the most researched avenues include several mixtures, such as composite fluids and multi-component salts, suspensions of submicron-sized solid particles in liquids. Innovations in the areas of component salts and composite fluids are some of the highly researched subjects in the heat transfer industry R&D activities. These can potentially increase the chances of numerous new product types for meeting the growing demands for higher specifications of heavy engines. Asia Pacific industry is projected to have the highest potential for the heat transfer fluids market in terms of revenue and volume both. The shift from western industrialization to Asia Pacific has been the primary factor for driving this regional industry. The business operators or primarily the manufacturers have become increasingly and exceptionally globalized to make out higher value for cost and, simultaneously, compete to fulfill the rapidly emerging expertise in the Asian market. North America heat transfer fluids market is yet another potential market with an established manufacturing base. Few of the leading industry participants currently operating in heat transfer fluids market globally include Dalian Richfortune Chemicals, Hindustan Petroleum Corporation Ltd., Lytron Inc., Honeywell International, Radco Industries, Arkema, Phillips 66, Bharat Petroleum, Indian Oil, Zhongneng Chemical and Huntsman, Dow Chemicals, Paratherm, Schultz Chemicals, Dynalene, Inc. and Therminol.